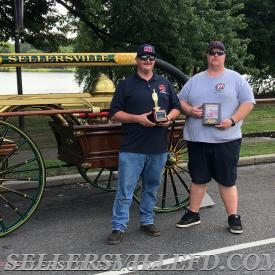 Our 1861 Cowing & Co handtub was transported to Cooper River Park in Pennsauken, NJ to participate in the 2018 SPAAMFAA Summer National Muster hosted by the Cradle of Liberty Antique Fire Apparatus Association. 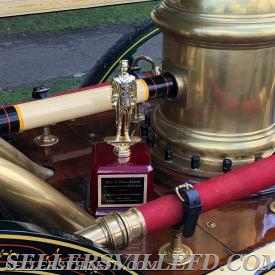 While on display, the pumper received a large amount of attention, with lots of people stopping to ask questions. At the end of the day, the handtub was awarded 1st place in its category, and then Best of Show for all apparatus displayed.